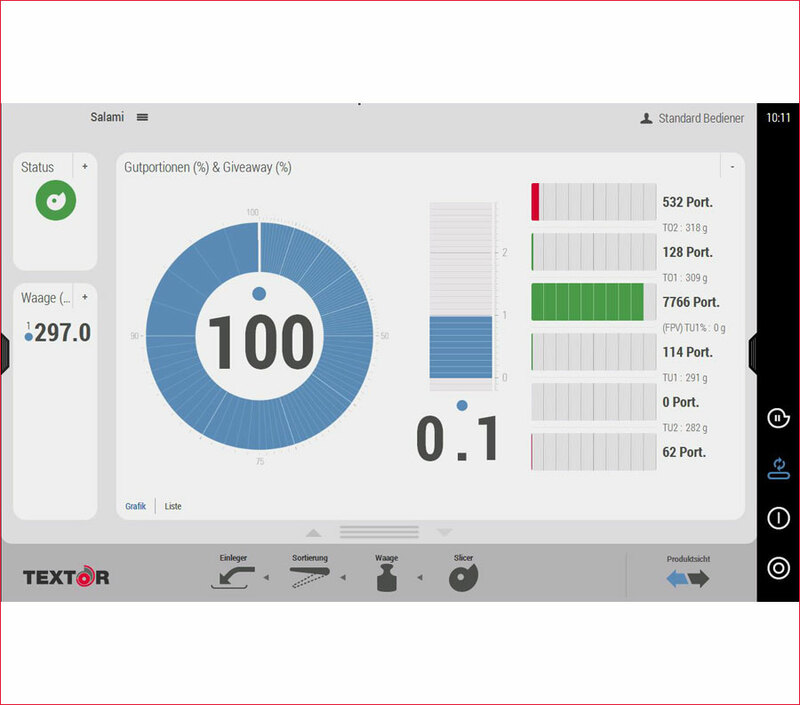 The Textor CCW500 weighing system for slicers is unequaled in the market. 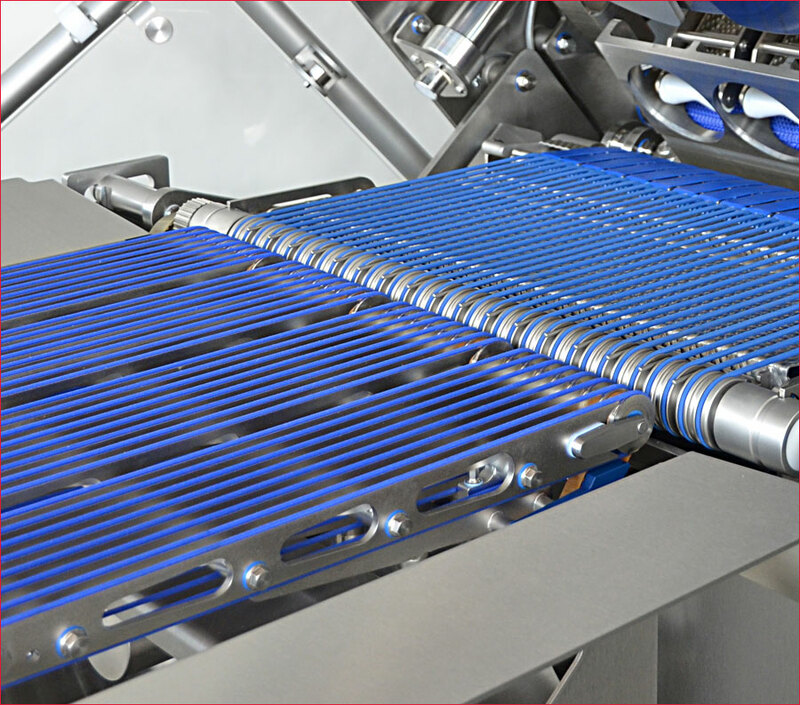 It combines maximum precision and throughput performance with a fully open design. 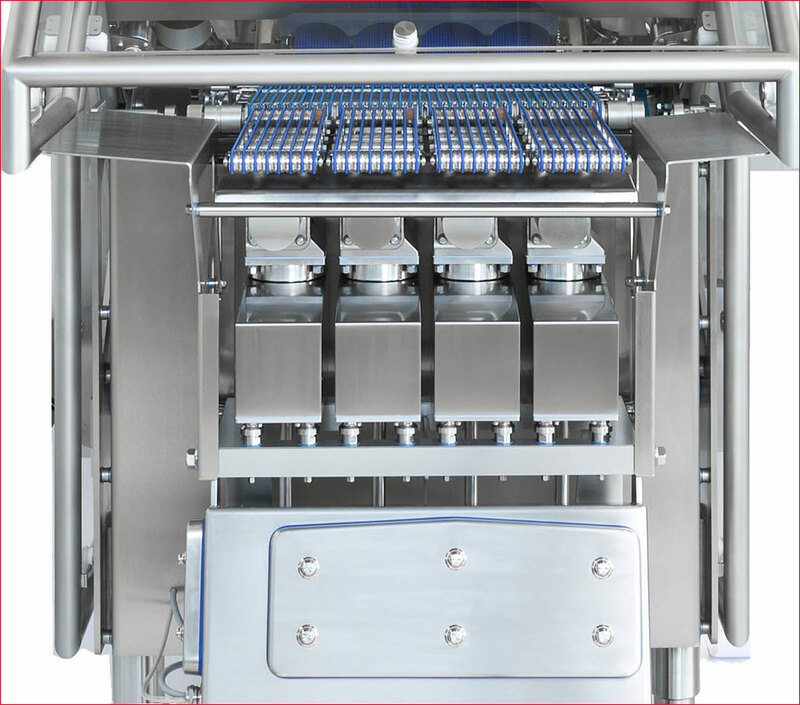 The weighing cell is not enclosed by a housing, providing optimum hygiene and cleanability, even for versions with multiple lanes and weighing cells. 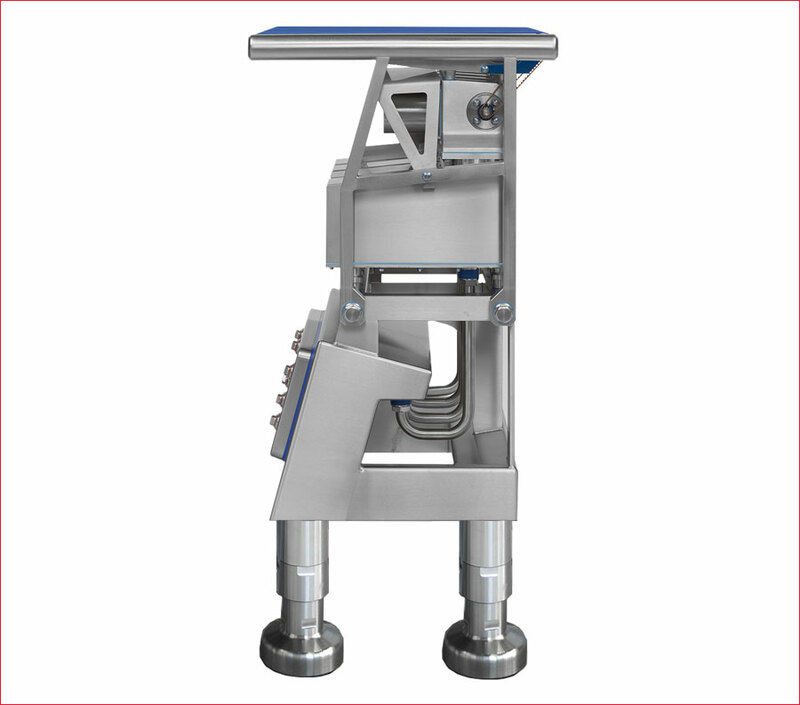 The weighing results are used for regulating the slice thickness and thus the weight of the portions in order to reject portions of the wrong weight from the system. Our CCW500 series of weighers have a highly precise weighing cell based on the force-compensation procedure. This guarantees precise weighing results, even at high throughout rates. The data is shown on the display in tabular and graphical form and is also stored. 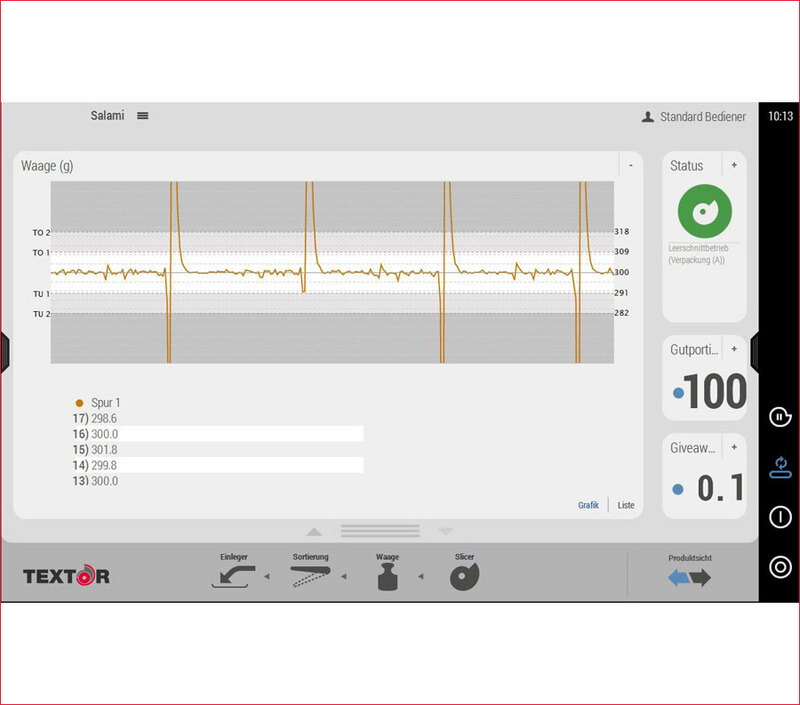 This data is then available as an important basis for optimizing the slicing process. 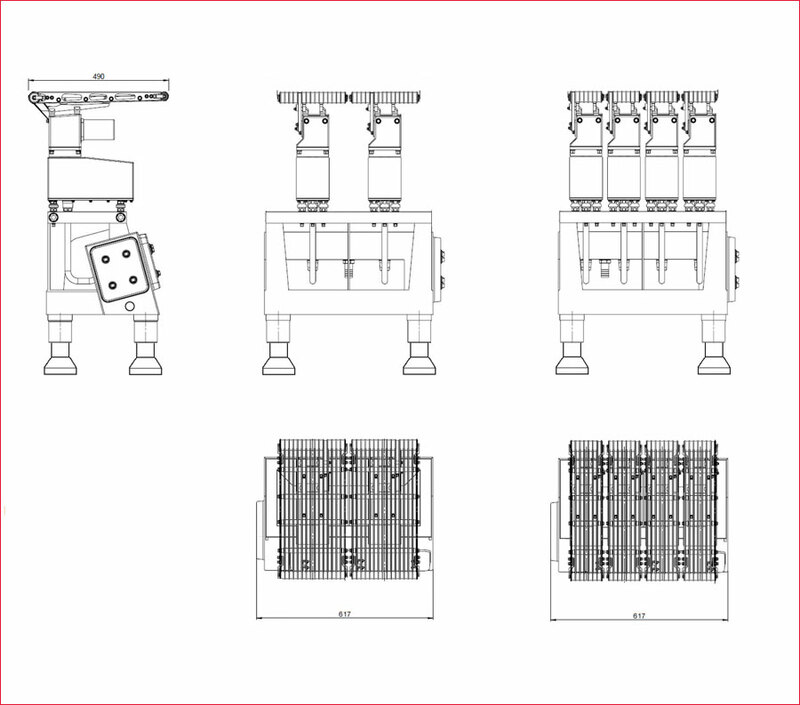 The weighers are available in various widths and number of lanes in order to provide the optimum dimensions for each individual application and slicer size.